We stayed at the Sparrow Hill Inn for our son's wedding this past weekend. We rented all four suites for our family. Kimberly and her staff were so accommodating. We asked in advance if other family members (who were staying somewhere else) could come over for breakfast each morning. Kimberly was very gracious in allowing them to come for a small fee. Each morning's breakfast was amazing! Everyone enjoyed their meal. This was the perfect way to begin each day. The Inn is so spacious that we all had room to spread out in the main living areas throughout the day. At night, our suites were so beautiful, peaceful, and comfortable! My husband and I stayed on the third floor where we had the hospitality area to serve snacks for our guests. There is also a huge picture window with a window seat that was perfect to sit at each morning together to go over the details of the upcoming day. We had a wonderful experience during our weekend and have nothing negative to say! Thank you to Kim and your staff for taking such good care of us! We hope to come back to stay again soon! We had a wonderful experience! Sparrow Hill is a beautiful inn. We spent the night with our daughter and her seven bridesmaids. Breakfast on Saturday morning was delicious! Joy was the perfect hostess! I highly recommend Sparrow Hill Bed and Breakfast. Our wedding weekend at Sparrow Hill Inn was nothing short of perfect! 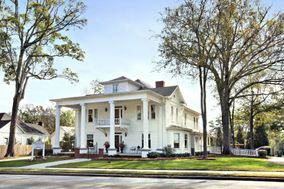 The bed & breakfast is absolutely beautiful with so much southern charm. The rooms are so comfortable and are very spacious. The beds are cozy and they even left chocolates on the pillows - sweet treat! The rooms have everything you could need. The breakfast both mornings was so delicious! We hosted our rehearsal dinner at the inn which was great. Our guests had the best time! Joy was a pleasure to work with! I enjoyed getting to know her and she was so easy to work with. 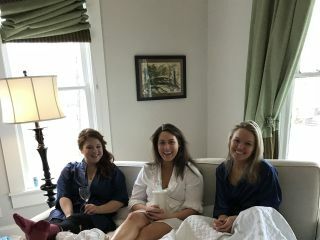 I would highly recommend staying at Sparrow Hill Inn to anyone. My husband and I look forward to visits for many years to come! We stayed at the Sparrow Hill Inn for my daughter's wedding and couldn't have been more pleased. We rented all four suites for two nights and had a bridal luncheon there. Every detail was taken care of with warmth and professionalism. 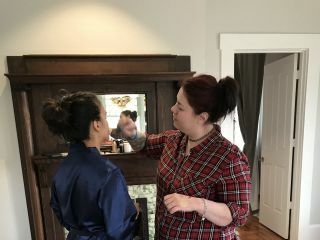 We were able to set up a make-shift salon on the third floor where the bride and her maids/maidens were able to have their hair and make-up done (thanks to Salon Avanti in Lula) prior to a beautiful luncheon. This morning, they helped us pack up leftovers and cake and graciously accepted our leftover flowers. I can't say enough about Kimberly and her entire staff. It was on Kimberly's recommendation that we booked The Engine Room as our venue and it was an absolutely perfect place for the wedding. We are nothing but smiles and will return when we don't have a wedding to divert our attention from this phenomenal jewel of a B & B. Blessings to you all! Wow, Sparrow Hill Inn was such a blessing. I was distraught about not being able to find affordable venues, or any venues at all really because my wedding date was so popular. I had such a good feeling about SHI that I booked them without even visiting yet. 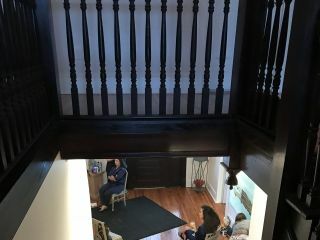 My (then) fiance found the venue online, my mother and sister-in-law visited for me, and I talked to the venue owner, Joy, on the phone and everything seemed perfect so I went right ahead. The venue is so clean, beautiful, posh, and transformable. The ceremony and reception areas are perfect for a creative bride because you can do so much with the space. Joy and her team are very, very professional and helpful. Joy may be a little hard to get a hold of sometimes, though. The venue price in itself is affordable compared to others in the area, but spending a bit more to have the venue Thursday-Sunday was definitely worth it. It's a really great value, and Joy works separately to get all the rentals. I also liked that I could bring in my own vendors. 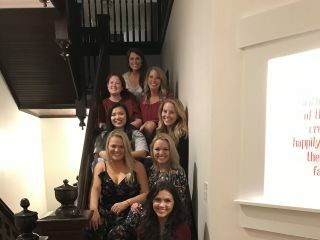 Overall, we got so many compliments on the venue, my bridal party loved staying there throughout the weekend, everyone loved the breakfast provided, and it just really felt like home. I'm so thankful for my experience there! My wedding was a dream because of this venue. My (now) husband and I are excited to have an anniversary bed and breakfast for years to come.